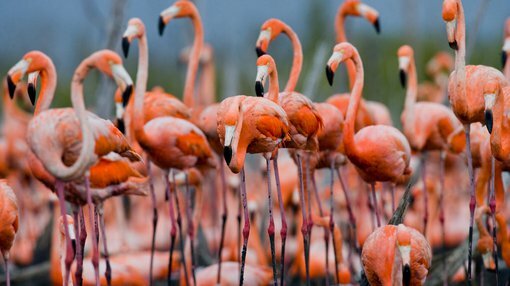 Flamingo AI (ASX:FGO) this morning announced its appointment of two new directors to its board — Mark Kehoe and Peter Lloyd — to strengthen its focus on commercialisation. Commencing 10 April, Kehoe and Lloyd join existing directors, Cathie Reid (chair), Bryn Hardcastle (non-executive director) and Dr Catriona Wallace (managing director). Kehoe joins the FGO team as an executive director and chief commercial officer (CCO). In the latter role, Kehoe will be responsible for the commercialisation of the technology, operations and business model, with a focus on revenue generation. Kehoe has an impressive background, as one of the founders of Australian e-commerce pioneer, GraysOnline, where he spent over 16 years, mostly as executive director before the business listed in 2014. Grays Ecommerce Group was subsequently acquired by Eclipx Group (ASX:ECX). Grays employed over 400 staff in Australia and New Zealand, and in FY15 generated sales in excess of $500 million. Lloyd, on the other hand, joins the board as a non-executive director. He is a highly experienced technologist and board director. Lloyd is currently a non-executive director (since 2010) with Integrated Research Limited (ASX:IRI), one of Australia’s most high profile ASX 300 technology companies with a market cap of $664 million, and of Taggle Systems Pty Ltd, a privately held technology company that utilises patented Low Power Wide Area Networking technology in the water management industry. It should be noted, however, that this remains a speculative stock and investors should seek professional financial advice if considering this stock for your portfolio.